What happens when a young brain is traumatized? How does terror, abuse, or disaster affect a child’s mind–and how can that mind recover? Child psychiatrist Bruce Perry has helped children faced with unimaginable horror: genocide survivors, murder witnesses, kidnapped teenagers, and victims of family violence. 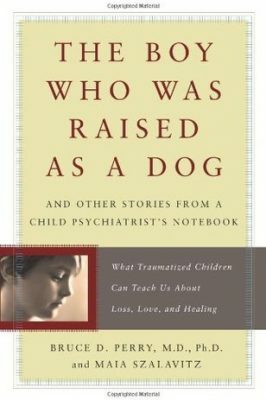 In The Boy Who Was Raised as a Dog, he tells their stories of trauma and transformation through the lens of science, revealing the brain’s astonishing capacity for healing. Deftly combining unforgettable case histories with his own compassionate, insightful strategies for rehabilitation, Perry explains what exactly happens to the brain when a child is exposed to extreme stress-and reveals the unexpected measures that can be taken to ease a child’s pain and help him grow into a healthy adult. Through the stories of children who recover-physically, mentally, and emotionally-from the most devastating circumstances, Perry shows how simple things like surroundings, affection, language, and touch can deeply impact the developing brain, for better or for worse. In this deeply informed and moving book, Bruce Perry dramatically demonstrates that only when we understand the science of the mind can we hope to heal the spirit of even the most wounded child. 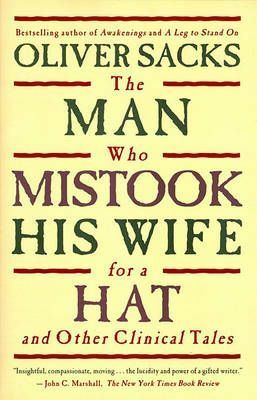 Having just read a psychology book that was very disappointing I was so glad that this book kept my interest all throughout. The material in this book is hard to read, any kind of hurt that a child goes through is awful, but it is also interesting to read about how Perry took these children and was able to help them. The book is very educational without sounding too clinical. The best way to describe it is that is is equally fascinating and horrifying to read. I would definitely be interested to read more books by Perry. They say one out of every hundred people is a psychopath. You probably passed on on the street today. These are people who have no empathy, are manipulative, deceitful, charming, seductive, and delusional. The Psychopath Test is the New York Times bestselling exploration of their world and the madness industry. When Jon Ronson is drawn into an elaborate hoax played on some of the world’s top scientists, his investigation leads him, unexpectedly, to psychopaths. He meets an influential psychologist who is convinced that many important business leaders and politicians are in fact high-flying, high-functioning psychopaths, and teaches Ronson how to spot them. Armed with these new abilities, Ronson meets a patient inside an asylum for the criminally insane who insists that he’s sane, a mere run-of-the-mill troubled youth, not a psychopath– a claim that might be only manipulation, and a sign of his psychopathy. He spends time with a death-squad leader institutionalized for mortgage fraud, and a legendary CEO who took joy in shutting down factories and firing people. He delves into the fascinating history of psychopathy diagnosis and treatments, from LSD-fueled days-long naked therapy sessions in prisons to attempts to understand serial killers. Along the way, Ronson discovers that relatively ordinary people are, more and more, defined by their most insane edges. The Psychopath Test is a fascinating adventure through the minds of madness. There is something about psychology books that I love. More specifically books about mental disorders and the psyche of serial killers. Not really sure what that says about me but that’s ok, haha. I just find it all so interesting. I already have my next psychology book queued up. There isn’t much to review with this book. 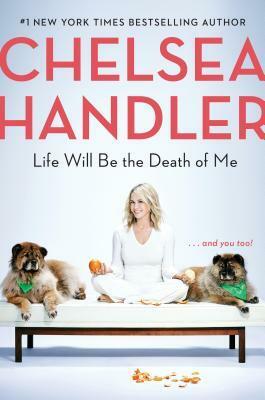 Ronson’s writing is great, he has a fun sense of humor throughout and he self-diagnoses himself with a number of disorders. I am curious to check out Bob Hare’s Psychopathy Checklist in more detail. I believe most people will have a least a couple traits but a true psychopath will have the majority of them. Know any psychopaths in your life?